Witness testifies that "Little Tony" admitted to orchestrating the slaying of Gus Boulis. The former co-owner of a fleet of gambling ships testified Friday that Anthony "Little Tony" Ferrari admitted to orchestrating the mob-style slaying of a prominent Florida businessman and threatened to kill the fleet owner if he ever talked to anyone about it. Ferrari also claimed to be the South Florida leader of New York's Gambino organized crime family, former SunCruz Casinos chief Adam Kidan testified at Ferrari's trial on murder charges. Prosecutors say Ferrari helped orchestrate the Feb. 6, 2001, killing of Konstantinos "Gus" Boulis, who had recently sold SunCruz to Kidan and partners. Kidan, who said he was having increasing problems with Boulis, had been paying Ferrari tens of thousands of dollars for protection and security for the 11-ship fleet. A few days after Boulis was fatally shot, Kidan said Ferrari came to meet him at his home and admitted to involvement in the killing as the two talked on an apartment balcony. A judge declared a mistrial Thursday afternoon for Anthony "Big Tony" Moscatiello, who is charged in Gus Boulis’ murder, because his lawyer is not healthy enough to continue. NBC 6’s Ari Odzer reports. "He said that it was unfortunate. It really wasn't supposed to happen that way, but it's done, and there's nothing you can do about it," Kidan testified. Then Ferrari looked directly at him and said, "'If you ever tell anyone about what happened, I will kill you and I'll kill your family,'" Kidan testified. "I sat there speechless and the conversation ended." Ferrari, 56, faces the death penalty if convicted in the Boulis slaying, which prosecutors say was actually committed by a New York-based mob hit man. Another reputed Gambino family member, Anthony "Big Tony" Moscatiello, also is accused in the killing but will be tried later because of an illness suffered by his attorney. The purported hit man is now dead. 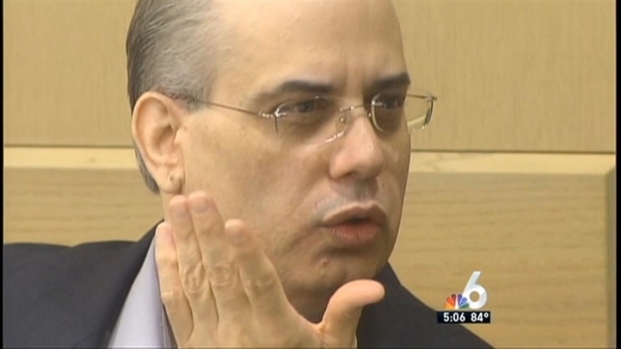 A witness has testified that Anthony "Big Tony" Moscatiello offered him $100,000 to kill a prominent South Florida businessman but that he refused to do it. 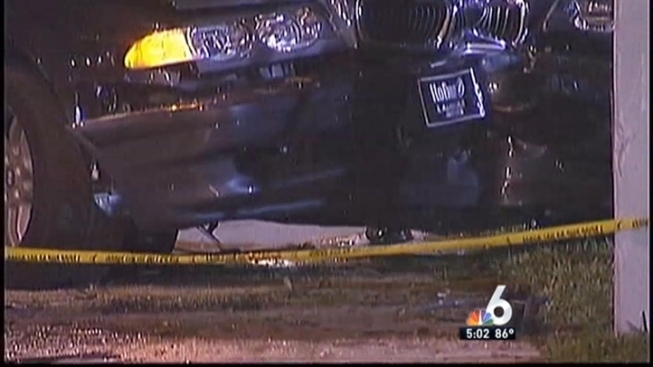 NBC 6's Christina Hernandez has the latest on the case. Kidan testified Friday that after Boulis died he also met with Moscatiello, 75, and that "Big Tony" said much the same thing as Ferrari. Both Moscatiello and Ferrari have denied any involvement. Kidan along with his partner, Washington lobbyist Jack Abramoff, bought SunCruz from Boulis in fall 2000 for $147.5 million. Boulis, however, kept a 10 percent stake, and Kidan testified that the new owners had continual problems with Boulis about the way they were running things. "It was a progression of events, from the (SunCruz sale) closing on forward, that kept happening," Kidan said, adding that at one point Boulis leaped over a desk and attempted to stab him with a pen. Kidan also said Abramoff told him Boulis had threatened to have Kidan killed at one meeting. Kidan said he reached out to Moscatiello, whom he had known in New York, for security and protection, and that Moscatiello brought in Ferrari. But Kidan has said he had no inkling that they would allegedly have Boulis killed and was shocked to learn about the slaying while on an overseas trip with Abramoff. "I was very shaken," Kidan said. "Anytime you know someone who loses their life in that manner, whether you like him or not, it's rattling." Ferrari's attorney will have a chance later Friday to cross-examine Kidan, who along with Abramoff pleaded guilty to fraud in the SunCruz purchase. Both did time in federal prison; Abramoff also was the key figure in a Washington influence-peddling scandal that led to convictions of 21 people. Abramoff is on the defense witness list, but it's unclear whether he will testify.